KUCHING: Barisan Nasional (BN) leaders are expected at a briefing called by the BN headquarters in Kuala Lumpur today (Oct 21). The briefing was first disclosed by Deputy Chief Minister Datuk Amar Douglas Uggah at a function here yesterday morning, and later affirmed by Deputy Chief Minister Tan Sri Datuk Amar Dr James Masing in the evening. Uggah, also PBB acting deputy president, said he had no knowledge what the briefing would touch on. He only told journalists that the BN headquarters had invited 10 representatives from each BN component party to be present at the briefing. He said this after flagging off the ‘Kembara Batang Lupar’ programme here yesterday. 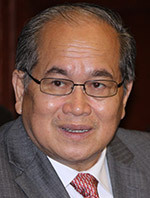 Masing later said through a telephone conversation that he, along with nine other Parti Rakyat Sarawak (PRS) leaders, were already in Kuala Lumpur. The PRS president said they had arrived at the capital to prepare for the briefing scheduled at 8am. “They (BN headquarters) called so we came. But I do not know the agenda of the briefing so I cannot tell you,” he said. 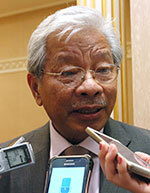 According to him, the directive for the briefing was sent to BN leaders about a week ago. Also contacted was Sarawak United People’s Party (SUPP) secretary general Datuk Sebastian Ting, who confirmed his attendance saying that he was boarding a Kuala Lumpur-bound plane. “Yes, I will be attending the briefing,” he said in a text before revealing that he was boarding the flight.